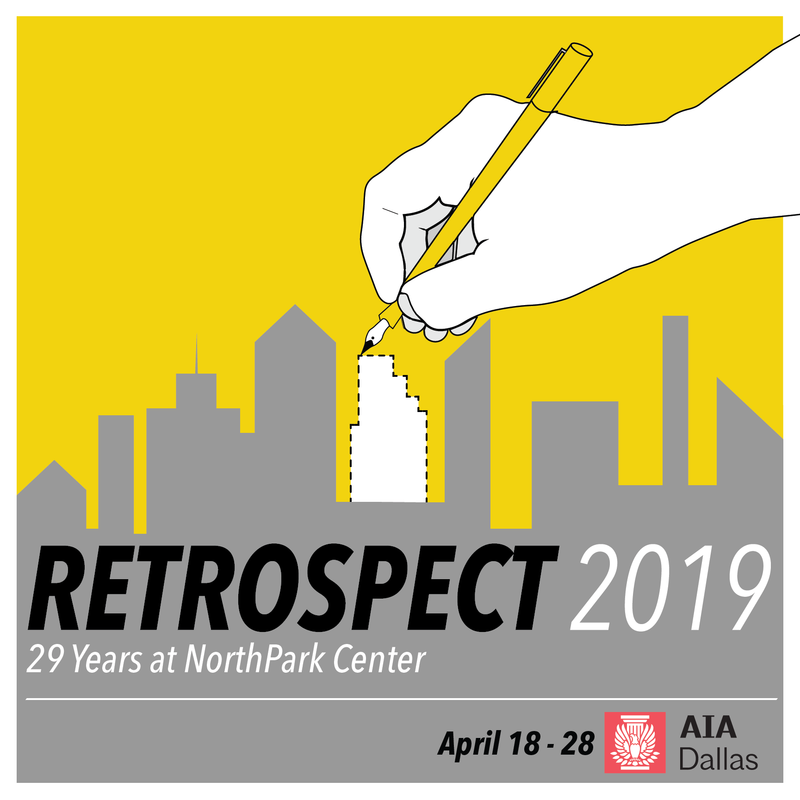 RETROSPECT is an annual exhibition showcasing the local, national, and international works of Dallas architects and architectural firms through three-dimensional displays designed to provide a glimpse of current trends in architecture. Now in its 29th year, RETROSPECT demonstrates how architects lead efforts to make our city a better place to live, work, and play. RETROSPECT 2019 will be on display April 18 through 28 at NorthPark Center! Be an exhibitor and show off your firm's design to over 100,000 NorthPark visitors. The exhibition should embrace this year’s theme, “Influence,” and inspire our community to see its surroundings differently and imagine new possibilities for architecture as a solution. NEW THIS YEAR: The 2019 exhibition will debut a People’s Choice Award, as well as juried awards including Best Use of Theme, Best Use of Materials, and more! Register online and download the exhibitor information sheet. View the 2019 exhibition do's and don't's here. Registration: Opens Wednesday, March 13. PLEASE NOTE: Location of exhibitors will be determined on a first come, first served basis dependent on power needs, and will occur in the order of registration. Deadline: Exhibitors must submit elevation drawings or photos of their exhibits detailing size and materials used, as well as installation life cycle strategies, to Jessica Boldt: jboldt@aiadallas.org by April 3 at 5:00 pm. Designs and materials will be reviewed by NorthPark management for safety purposes. Setup: Begins at 9:00 PM on Wednesday, April 17th. All exhibits must check-in by 10:00 PM and complete installation by 1:00 AM the same night. Take Down: Begins at 6:00 PM on Sunday, April 28th. All exhibits must be removed by 9:00 PM.